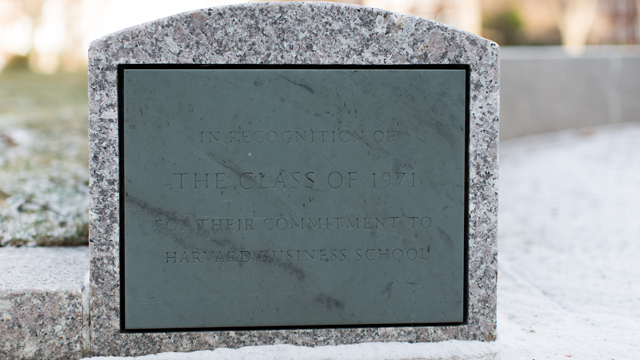 On the occasion of its 25th and 30th Reunions, the MBA Class of 1971’s fundraising efforts were directed to support the physical renovation of Aldrich Hall and enhancement of the technology within the classrooms. 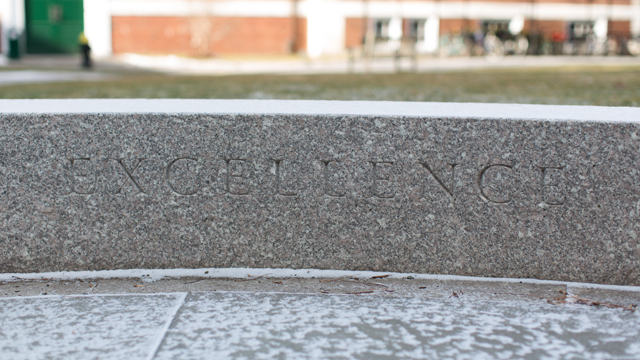 In recognition of this support the School created the Class of 1971 Courtyard behind Aldrich Hall. 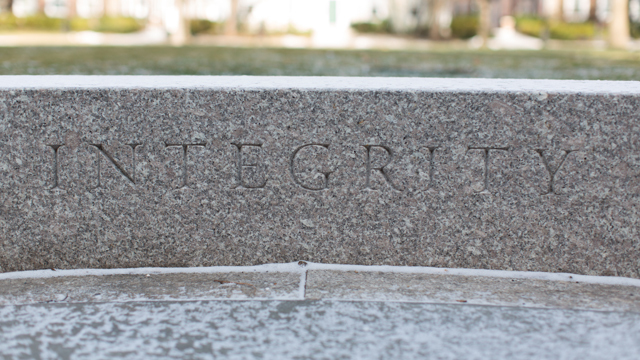 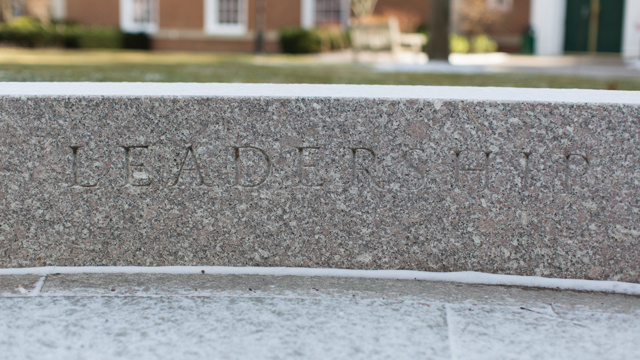 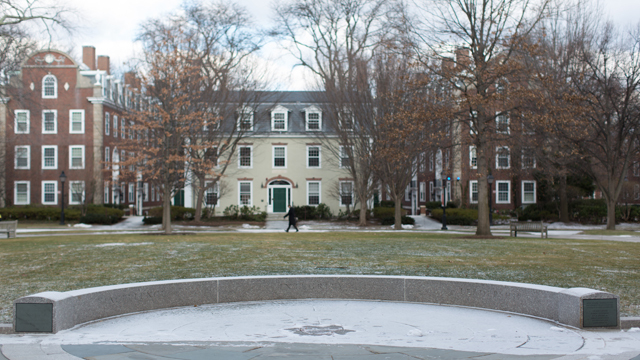 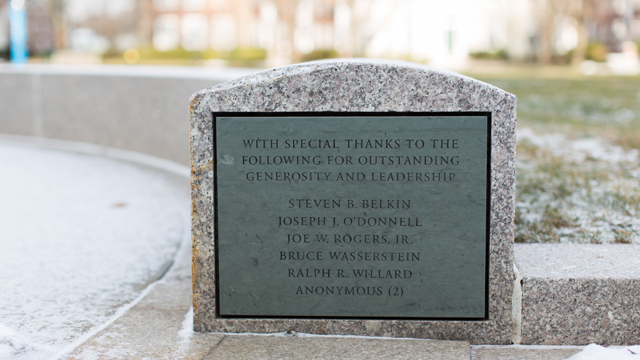 The commemorative architectural elements include a semi-circular wall inscribed with the words “Excellence, Integrity, Leadership” and lists the leadership donors Steven B. Belkin, Michael Porter, and Joseph J. O’Donnell.